Although the concept of nursing peer review is over two decades old, it is just coming of age in the correctional nursing specialty as the newest version of the National Commission on Correctional Health Care Accreditation Standards has expanded the Clinical Performance Enhancement Program (Standard C-02) to include RNs and LPNs. This is the fourth in a 4-part series of posts on correctional nursing peer review. Find other posts on this topic here. Recently I queried correctional nurse leaders around the country about what they were doing regarding nursing peer review. Many responded that they were researching the process and just getting started. Here are examples of what some systems have developed thus far. They may help you determine what would be best for your purposes. The Ohio state prison system has had a nursing peer review program in place since 2007. They review nursing documentation for each nurse every 2 years. Ten charts are selected – 5 by the reviewer and 5 by the nurse being reviewed. Their policy specifically states that results of the nursing peer review are never used as grounds for disciplinary or punitive action. Instead, a remediation plan may be initiated, if appropriate. Although the concept of nursing peer review is over two decades old, it is just coming of age in the correctional nursing specialty as the newest version of the National Commission on Correctional Health Care Accreditation Standards has expanded the Clinical Performance Enhancement Program (Standard C-02) to include RNs and LPNs. This is the third in a 4-part series of posts on correctional nursing peer review. Find other posts on this topic here. 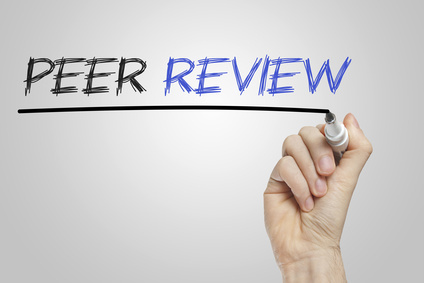 Building a nursing peer review program from the ground up can be a daunting task. Here are some practical ideas for how to have a successful nursing peer review process that is efficient and effective. Although nursing peer review is different from continuous quality improvement, nursing competency reviews, or performance evaluations, these programs can be linked to the nursing peer review process in several ways. Trending in CQI studies can help in prioritizing which professional standards to review in any given time period. If studies are showing that withdrawal protocols are not being initiated as expected in a jail setting, assessment and decision-making on intake might be a priority professional standard for nursing peer review. Likewise, if competency evaluation of new orientees shows deficits in differentiating dental urgencies and emergencies, this can become a peer review priority. Because performance evaluations often involve compensation and employment behavior, it is best to have a clear separation between the performance evaluation and the nursing peer review process. However, if trends in clinical issues emerge during the performance evaluation process, these issues might help make determinations of which professional standards will be the focus of upcoming peer reviews. Other clinical data can also inform a nursing peer review program. 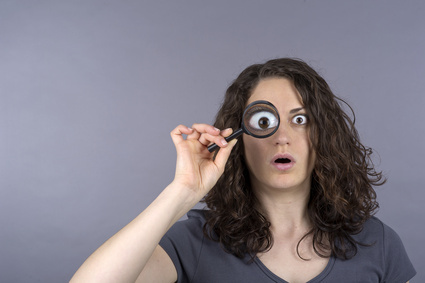 Information from risk management, medication errors, mortality reviews, and emergency room visit trending may indicate a particular focus for evaluating clinical performance. Involving front-line nurses in the creation of the program and prioritization of the standards used for the review will encourage maximum participation. The challenge of peer review is maintaining a climate of professional development rather than one of evaluation and criticism. It may be tempting for a nurse manager to complete the nursing peer review on all nurse employees. A team effort, instead, can provide professional growth among the staff. Properly managed, nursing peer review can be a supportive and encouraging professional process. Poorly managed nursing peer review can seem punitive and discouraging. Forms provide structure to any process, especially new ones. If a form is used for peer reviews there is more opportunity for consistency. 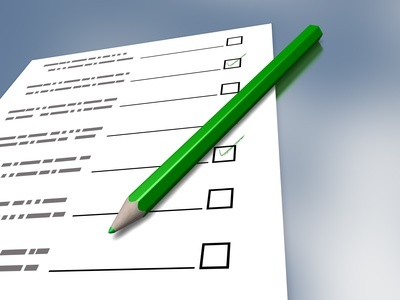 In addition, a form can operate as a checklist to prompt a reviewer on elements requiring attention. Staff are more likely to get involved if they have a written format to follow. NCCHC also recommends the use of a standard form in the discussion of the C-02 standard. Work out a program for peer review throughout the year rather than trying to do it all at once. Make it a monthly or quarterly activity; possibly attached to an existing quality improvement or meeting structure. The important point is to keep nursing peer review as an active and ongoing process rather than a periodic disconnected project. Although the concept of nursing peer review is over two decades old, it is just coming of age in the correctional nursing specialty as the newest version of the National Commission on Correctional Health Care Accreditation Standards has expanded the Clinical Performance Enhancement Program (Standard C-02) to include RNs and LPNs. This is the first in a 4-part series on correctional nursing peer review. 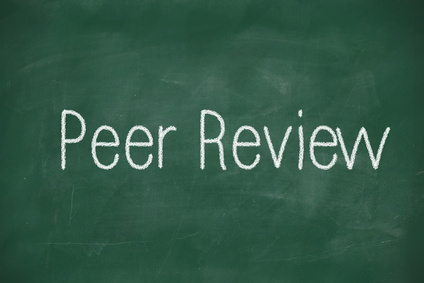 Peer review is a familiar program to providers (physician, nurse practitioner, physician assistant) as a means of evaluating the quality of care provision by individual practitioners. Nurses, however, can have difficulty applying this concept to their own clinical practice. The American Nurses Association’s (ANA) Nursing Peer Review Guidelines provides a definition and set of principles for the nursing peer review process that are applicable in the correctional setting. Peer review should be performed by nurses who are practicing in a similar context. Thus, it would not be appropriate to have critical care nurses evaluate the nursing care of correctional nurses or for emergency nurses to evaluate the care of neonatal nurses. Nurses practicing in a similar context understand the environment of care, the patient population, and the standard processes for accomplishing care that would not be familiar to a nurse from another context. Peer review is an evaluative judgment about the actions of another staff member from the same profession. The primary objective is to determine the quality and safety of care provided by an individual staff member. A major component of the definition of nursing peer review is that it is a judgment of actual care provided. This is often done as a chart review but could also be performed as direct observation. However, the evaluation is of actual nursing care provided rather than a nurse’s ability to provide care. An annual performance evaluation is a judgment of an employee’s work as it relates to their hired status and job description. Although clinical practice is a part of a nurse’s job performance, it is often not the primary focus of the performance evaluation. Competency checklists or skills reviews evaluate a nurse’s ability to perform various skills and functions. They do not evaluation actual nursing care provided. As with competency or skill evaluations, simulations such as man-down or disaster drills evaluate staff ability to perform in an emergency situation but do not evaluate actual nursing care in a real clinical situation. Continuous quality improvement projects look aggregately at clinical care provided while nursing peer review evaluates a specific clinician’s actual care provision.